Aurelia House & Loft is an apart-hotel offering modern rooms and comfortable apartments for short stays in the Aurelio District of Rome near Vatican City. 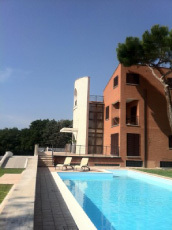 Nestling in a quiet, leafy residential area, the complex is easily reached from the ring road called the GRA – Grande Raccordo Anulare (Exit 1), from Fiumicino Airport, and is also situated just a few miles from Vatican City and the centre of Rome. With its prime location, equipped with convenient and secure free car parking and numerous facilities dedicated to those who travel for work, Aurelia House & Loft is the ideal choice providing rooms and apartments near the Hotel Ergife conference centre and the Nuova Fiera di Roma trade fair centre. To guarantee maximum efficiency, Aurelia House & Loft offers a practical shuttle service on request from/to the Penitentiary Police College on Via di Brava. 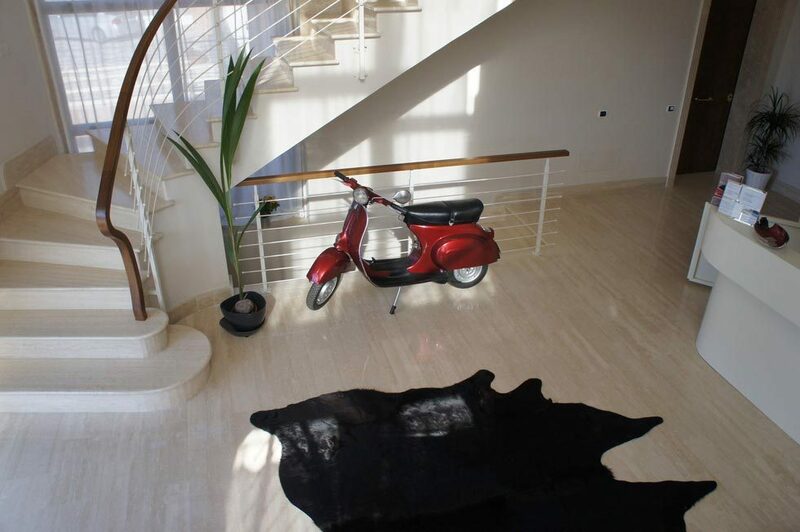 With its modern design inspired by the Vespa scooter, Aurelia House & Loft is a point of reference for those seeking accommodation far removed from the chaos of the city in an apartment for short stays in Rome complete with kitchen, or comfortable rooms with business facilities. Furthermore, Aurelia House & Loft offers the option of entering into company agreements for apartments for medium and long term stays in Rome at very affordable rates. Our outdoor swimming pool is reserved for guests and equipped with sun loungers and parasols. It looks out onto a picturesque park and is open at fixed times every day during the summer, except maintenance days. It offers the perfect solution for those who want to keep in shape or simply enjoy some special moments of relaxation. Wi-Fi internet connection is available free of charge throughout the complex (rooms and apartments) allowing each guest to keep up with work or stay in contact with loved ones at any time. Aurelia House & Loft is affiliated with a pizza restaurant which runs a shuttle service to and from the restaurant at no additional charge for those wishing to go for lunches as well as dinners. Whatever your accommodation requirements – from a room for a short business trip to Rome, to an apartment for short and long term stays – at Aurelia House & Loft you will find that our friendliness and hospitality makes you feel at home away from home.